FINALLY! The wee man is asleep, Rascal is at the park with her Dad and I have some time with our camera and its replacement lens. Here is my horribly late post about the Kiwi Ornament Swap. I have had a few posts written and ready to go once we got the camera up and running again, so I will post these over the next few days. 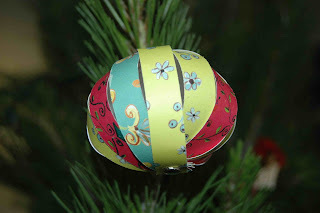 As I have said many times before, I really enjoyed participating in the Kiwi Christmas Ornament Swap. One of the most exciting aspects of the swap was the anticipation of waiting for the little packages to arrive. 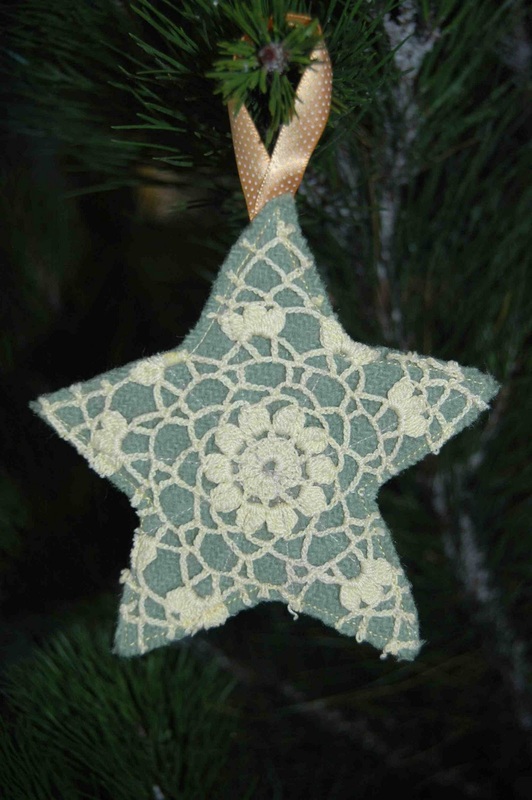 The first ornament to arrive was from the lovely Andrea over at Creating Childhood Memories. 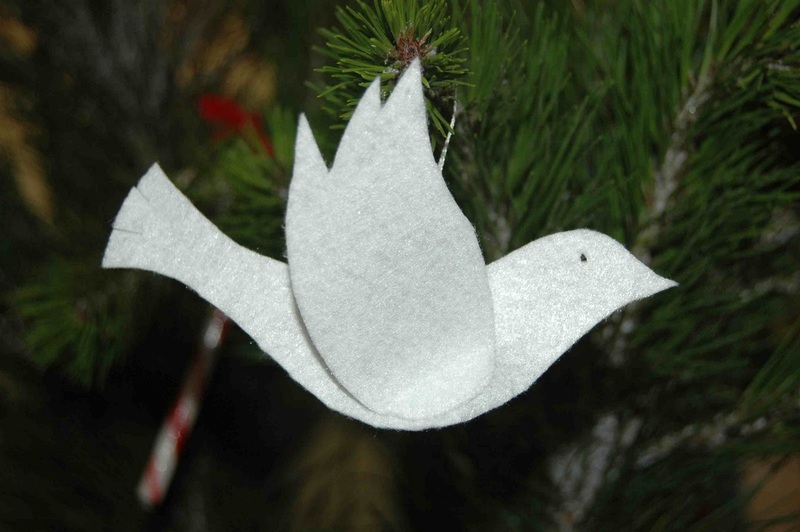 I love the simplicity and beauty of this dove that will fly on our Christmas tree for many years to come. The next two ornaments arrived on the same day. Rascal loves to jingle the beautiful wreath that Genevieve of Paws Purls knitted for us. 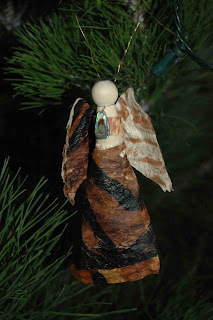 It is so unusual and looks great hanging on the tree. 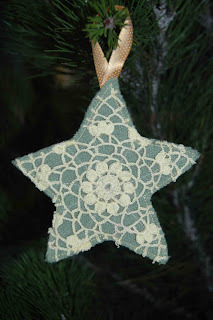 Dione of Sew Funky (the wonderful swap organiser) sent me this great star. I love it! 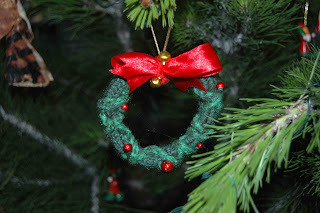 Nicola didn't just make one ornament, but three! Look at these great paper baubles! They stand out really well against the tree. Aren't the colours beautiful! Finally Maraea of Brians an Unusual Name for a Girl sent me this beautiful Polynesian Angel. I LOVE it! Thanks girls, you all did a GREAT job!